In Turkey, there were on and off again showers. We had been to this port in Turkey last year, so we had only planned to stay near the ship in port. In Tunisia, the winds were blowing too hard for the ship to safely dock in the port. So, we technically were in the African waters of the country of Tunisia, but unfortunately, we could not get off the ship. I was disappointed because the two places we had planned to see: (1) Sid Bou Said is a beautiful seaside town & (2) historic Carthage. In Naples, Italy, the winds were predicted to increase too much for the small hydrofoil boat we had charted to take us to the Island of Capri. This would have been a breathtaking trip to scale the top of a mountain for wonderful views of the bay of Naples. 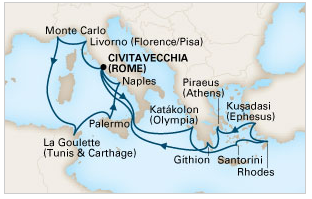 But, instead, Amanda stayed on board and enjoyed the spa, while I took a spontaneous trip to Herculeanum, a city similar to Pompeii that was buried by the eruption of Mt. Vesuvius. It was too late to go to Pompeii. 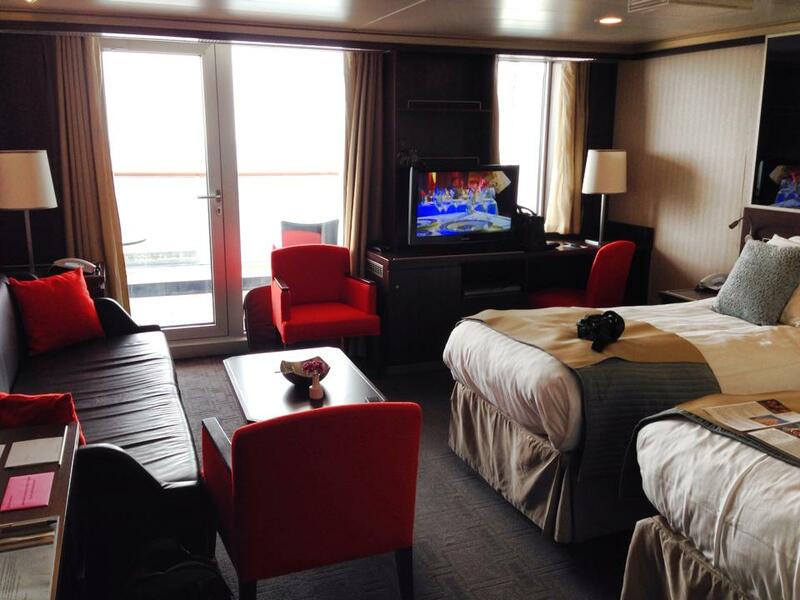 As far as the ship goes, our first cruise was with Holland America and coincidentally on the same ship the Eurodam. We had not planned that, as we booked based on the itinerary. 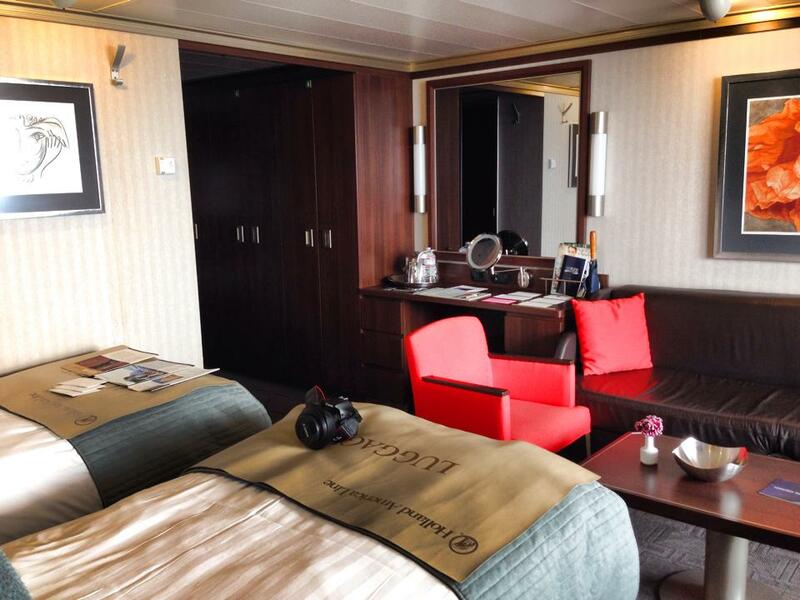 We did however, enjoy a Superior Suite room with plenty of room and a large balcony. The pictures below show how the room was setup when we arrived, as we had the stewards place the beds together. 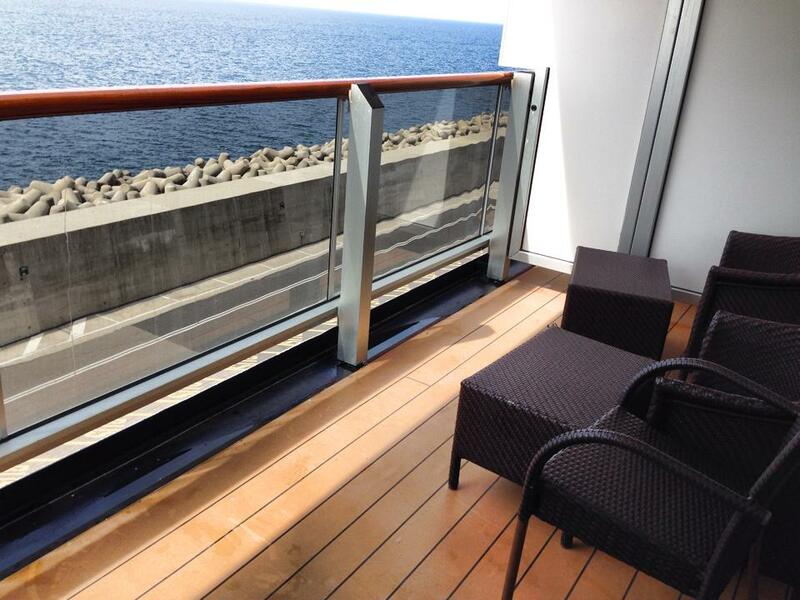 We absolutely LOVE sailing with Holland America!! We can highly recommend the company and ship. At about 2000 passengers, it is a mid-sized cruise ship with about 2-1 guests to crew ratio, Great entertainment and DELICIOUS food. We are now up to 5 cruises so far….our next is scheduled for this Christmas from Spain to the Canary Islands. And, we have two more scheduled next year in 2015 with more stops in the Mediterranean and another in the northern part of Europe, the Baltic Sea to Saint Petersburg, Russia….so….stay tuned…..